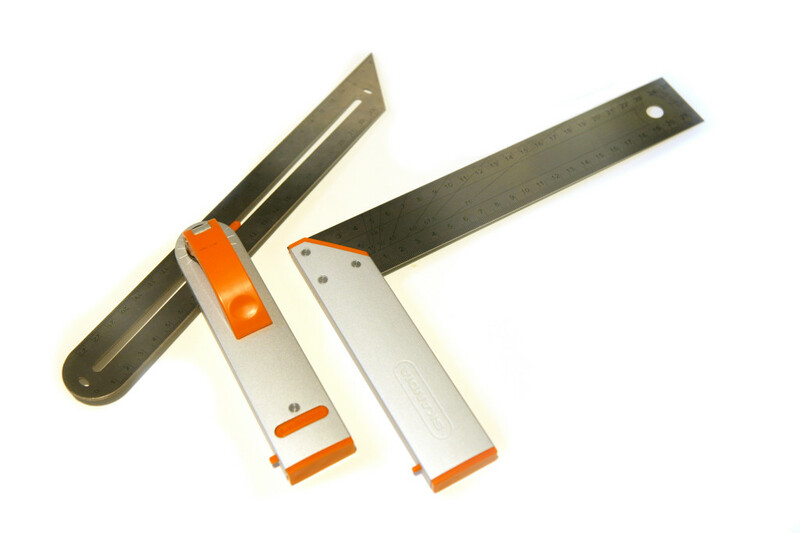 A sliding T bevel is an adjustable gauge for setting and transferring angles. The handle is usually made of wood or plastic and is connected to a metal blade with a wing nut. The blade pivots and can be locked at any angle by loosening or tightening the wing nut. To use a traditional sliding T bevel you actually need three hands: two hands to adjust the corner and a third hand to tighten the wing nut. By replacing the wing nut with a quick release system, the metal blade can easily be locked in place with the same hand that holds the T bevel.